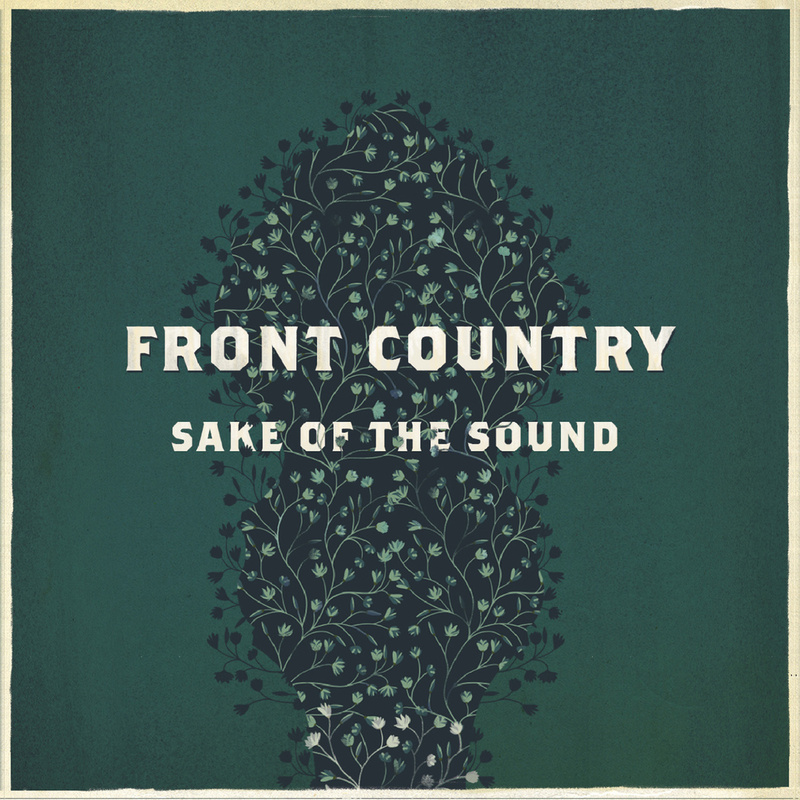 'Sake of the Sound' opens with a rendition of 'Gospel Train' which sets the bar very high for the rest of the album and that standard is maintained throughout. For me, the only way to describe Melody Walker's voice is soulful in a way that I have not heard in along time - three of the tracks are also written by Melody. It is easy to undertand why Front Country won the band contests at both RockyGrass and Telluride so it would be remiss not to mention the rest of Front Country who are: Adam Roszkiewicz (mandolin), Jacob Groopman (guitar, vocals), Jordan Klein (banjo, vocals), Leif Karlstrom (violin) and Zach Sharpe (bass). 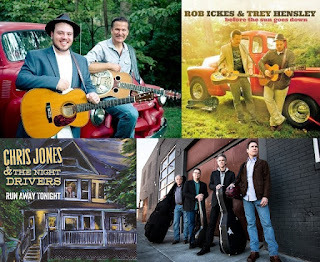 Let me start my making it clear that not all dates will feature both Rob Ickes & Trey Hensley and Chris Jones & The Night Drivers but there are some shared dates so, for this reason, this announcement will talk of both with the dates for Rob & Trey and Chris Jones listed separately below. Trey Hensley has been the recipient of accolades from the likes of Marty Stuart, Mike Auldridge, Earl Scruggs and Blue Highway. Gene Parsons of The Byrds and The Flying Burrito Brothers said of Trey “Listening to Trey Hensley play guitar I realized I haven’t heard guitar playing this exciting since Clarence White. Wow!” Trey featured as guest vocalist on 'My Last Day In The Mine' on Blue Highway's album 'The Game'. 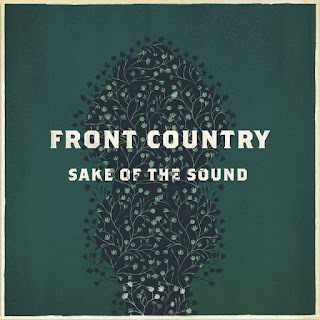 Teaming up with Rob Ickes for their album 'Before The Sun Goes Down' has produced an album that will appeal equally to Bluegrass and Country fans - as for their version of Stevie Ray Vaughan's 'Pride and Joy'...if you have not heard it, rectify that as soon as possible! Rob Ickes has more individual IBMA awards for his Dobro playing than I have fingers and toes (as a result of an accident with an alligator and the fact that I don't count so well) but add together the IBMA awards than Rob has won himself and the awards that he has been party to with Blue Highway then I could be counting all day. Chris Jones & The Night Drivers comprise (naturally, Chris) Ned Lubercki, Jon Weisberger and Mark Stoffel. Chris will be known to many for his articles in Bluegrass Today, his distinctive voice as well as being a presenter on SiriusXM; like Chris, Ned Luberecki will also be known to many as a presenter on SiriusXM. 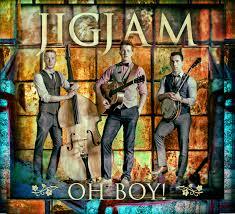 Jon Weisberger (when not playing bass for the Night Drivers) is also the Chair of IBMA and Mark Stoffel is noted for his playing and as a producer and recording engineer. Their CD 'Lonely Comes Easy' was very successful with nine Top 20 songs and their new CD 'Run Away Tonight' looks as though it will do the same and if you have listened to 'Live At The Old Feedstore' then you will not want to miss the opportunity to see them play live in Europe later this year. As mentioned before, not all dates will feature both Rob Ickes & Trey Hensley and Chris Jones & The Night Drivers but there are some shared dates and these will be highlighted. For the past several years our music world has been rewarded with a few mighty impressive publications of musical instrument history. My current personal favorite at the very top of that list of books is, and has been since its release, “Inventing the American Guitar” (Hal Leonard Publishing, 2014). Now along comes Graham McDonald with what appears to be a serious contender for that top spot with his comprehensive study, The Mandolin: A History. As a guitar and mandolin enthusiast who appreciates such history, and given the unveiling of this latest addition to the world’s music library, my personal music book shelf may very well be complete at this point. 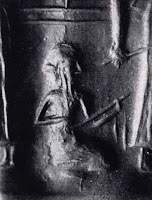 McDonald’s history of the mandolin tracks stringed instruments as long ago as 4200 years (in this case, the Lute family). 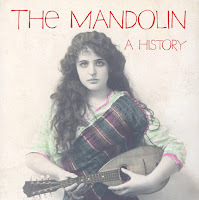 Thusly, we discover the mandolin’s primitive origins in Mesopotamia, Egypt and Europe. Note the Mesopotamian musician named ‘Ur-Ur’ in the photo. He is clearly in a familiar playing position. The author suggests a Lute-like instrument with 2 strings. We are eventually introduced to the first appearance of what many consider the prototype for the modern day mandolin: the “mandolino” of late 16th century Italy, a baroque gut-strung mandolin borne out of the early 16th century ‘mandola’. The insight into the mandolin’s evolution goes ever deeper from there. The author’s presentation has made the reading relatively simple, even while addressing the most technical aspects and complicated subjects. Graham’s care to guide us along the way, often using specific examples, is invaluable. As if the multitude of sketches, drawings and photos are not enough (some very rare and previously unpublished) – the author even provides such minute details as string lengths and tunings, using the Hemholtz system for pitch notation. 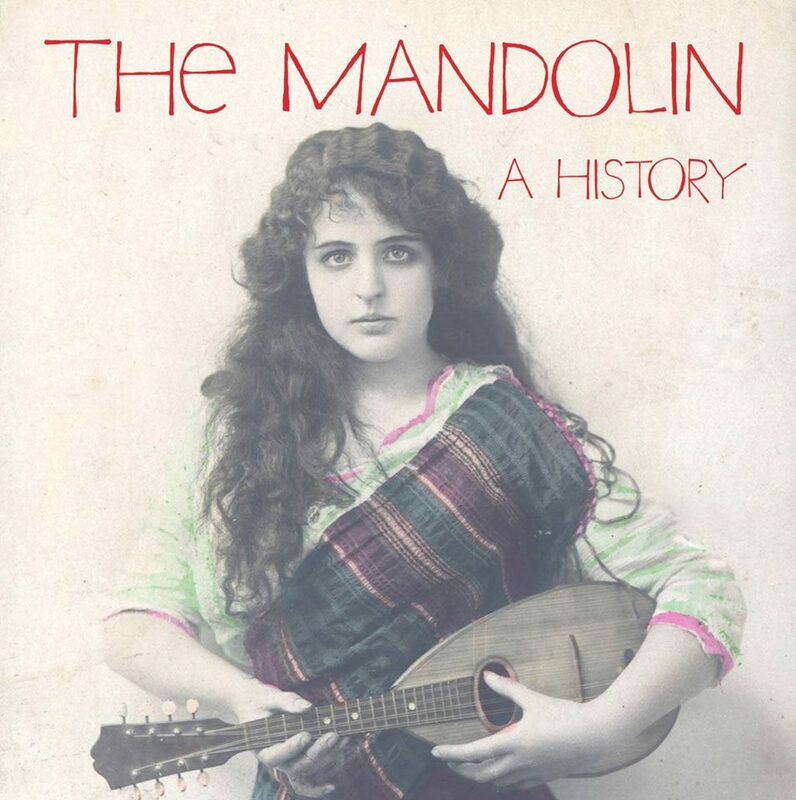 The Mandolin: A History is truly an exhaustive study often revealing the complexity and ‘secrets’ of numerous instruments, while relating these factors to the modern mandolin. McDonald has the experience and skills required to address the similarities between modern day mandolins and their ancient cousins along this historic trek. As a result we witness a global ascension throughout the double-string instruments’ “family tree”. In the extensive coverage of America’s contributions to mandolin history we are introduced to little known, possibly even unknown, luthiers from the past. As might be expected many prominent manufacturers in America are covered as well. Of note is a chapter dedicated to what McDonald calls “the definitive history of the Irish bouzouki”. He considers this instrument his specialty. There are some 400+ pages, 450+ illustrations/photos, and 22 chapters. Also a detailed bibliography and index. Suffice it to say, the volumes of information are vast and therefore impossible to relate all the essential subject matter within the limited scope of a mere review or news report. To paraphrase the author’s rather humble description of the concept of his book… It is about the instruments. How they are built, and how they have been built in the past. But it is much more than that. In a short video on the Kickstarter website, Graham mentions it took 6 years to complete this project. When, in reality, this book is the culmination of a lifetime of preparation as he made his own musical and educational journeys. Graham McDonald has gifted us all with an indispensable guide to the co-evolution of the instruments in his study, the very special relationships which exist amongst this “double-stringed species”. Now in the final days of a ‘Kickstarter Project’ campaign, to help raise funding for the publishing of this extraordinary book, Graham McDonald is hoping for some additional interest in order to meet his goals. To pre-order a copy and help secure the funds for printing, or view his introductory video, go to the author’s Kickstarter.com website. There are varying levels in which to pledge your support and receive a book (and more). Be aware there are only a few days remaining for the Kickstart project. Graham McDonald is a man of musical diversity -- a musician, hosting a music program on community radio since 1976, audio archivist, and luthier in Canberra, Australia. He is a builder of guitars, mandolins, Irish bouzoukis, citterns, mandolas and ‘wombat fiddles’. Graham has been a consultant to the National Museum of Australia, Sydney's Powerhouse Museum, the NSW Conservatorium of Music, and a certified C.F. Martin warranty repair person. He is also an author. Mr. McDonald’s two previous published works related to double-stringed instruments are, “The Bouzouki Book: A Workshop Guide to Building Irish Bouzoukis and Citterns” (2004) and “The Mandolin Project: A Workshop Guide to Building Mandolins” (2008). Here's the good news: the EBMA's printed magazine BLUEGRASS EUROPE #96 is in the mail to EBMA members. Featuring Switzerland's "Bluegrass Family Festival" and its 19th edition, we also checked out, how a 2nd generation bluegrasser sees the scene. Meet musicians, find out, what the new leadership of EBMA has up for you, check out which events you missed and what's still awaiting us. And feel free to share your thoughts with us! 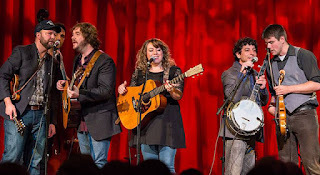 The deadline for #97 (autumn 2015) is 20th September 2015 and will focus on reviewing some of the larger European bluegrass music festivals, news from IBMA WOB and Awards Show, a preview on the winter season, and more... If you would like to contribute with your personal report, a CD or book review, a great photo, or if you want your product or event advertised please feel free to contact us at editor. Please like us on Facebook: BLUEGRASS EUROPE and EBMA and follow us on Twitter @ebma_tweet - thanks for spreading the word! We wish all our readers a pleasant rest of the remaining festival season - great things are going on this weekend in many countries in Europe and worldwide!! !